Volunteers are very special people who travel to different parts of the world and give of their time and service. Very often they choose to come to Ecce Homo Convent which is situated on the Via Dolorosa in the Old City of Jerusalem. Since our primary ministry in this pilgrim house is one of welcome and hospitality for our guests and visitors, the volunteers share in this work and in the life of the house in many and varied ways. Their three-month stay with us gives them time to understand more fully our charism which is to witness to God’s faithful love for the Jewish people. This call implies that we, as Sisters of Sion, are mindful of the three aspects of our call – to the Church, to the Jewish people and to a world of justice, peace and love. Volunteers gain a deeper understanding of Judaism and of the Jewish community. They grasp more fully that the roots of Christianity are in Judaism. Living here in the Muslim quarter and working with a Palestinian staff, our volunteers witness another aspect of our ministry – that of the culture and religion of another people. It is our desire that our volunteers appreciate the values and significance of other cultures and religions different from their own. Such an experience is of utmost importance. Volunteers are a vital part of this very rich atmosphere in which we live. 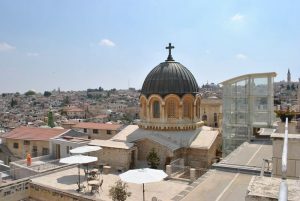 There is so much offered to us here in Jerusalem – speakers, conferences, different liturgies, prayer of other faiths and numerous cultural experiences. 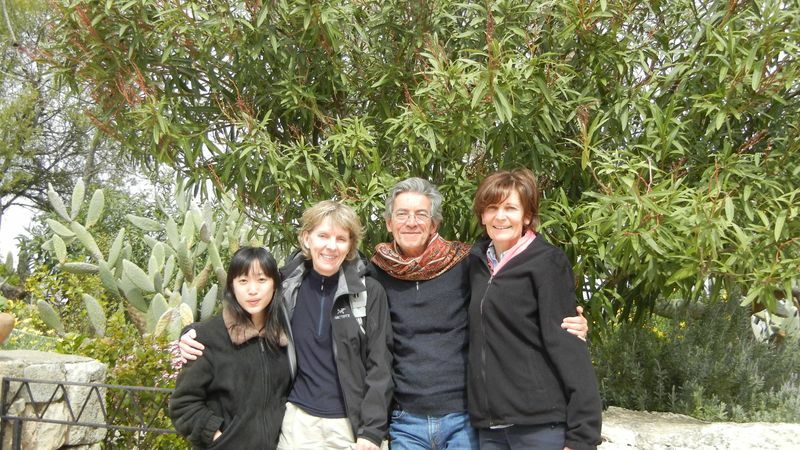 Within the Biblical program the volunteers may choose to take one of the classes offered and also join the participants on two excursions. They have Sundays free and three consecutive days to travel. 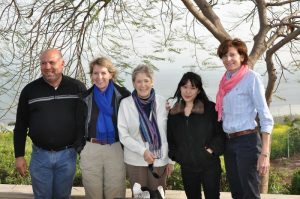 With each group of volunteers we spend a day in Galilee. It is always amazing to see the wonderful friendships that form during their time here. 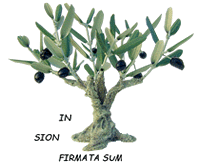 All our staff are Palestinian, both Muslim and Christian. Needless to say there are many occasions to get to know the other person and understand better their living situation and their hopes for the future in this land. Well, we receive comments like – ‘it was the best thing I ever did; I have never met a Jew or a Muslim before; this was my home away from home!’ It is our hope that these generous and adventuresome people leave us with a greater awareness and appreciation of others and with the knowledge that they can make a difference! They bring us such life and hope. It is a graced time for them and also for us!